Below are 15 trivia questions about Elvis Presley records that were released to the public in the United States during his lifetime by Sun Records and RCA Victor. Records released in other countries while Elvis was alive and those issued in the U.S. after his death don’t apply to the following questions. See how many you can get right. You’ll find the correct answers to all the questions at the bottom of the page. 1. Counting single records, extended plays (EPs), and long-playing albums (LPs), how many total Elvis records were released during his lifetime? (a) 173, (b) 188, (c) 200. 2. Of Elvis 31 Hollywood movies, 25 had either EP or LP soundtrack records issued with the same titles as the films. 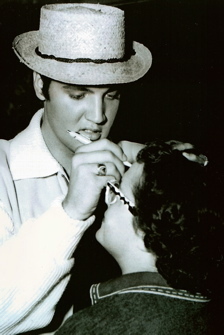 Name 4 of the 6 Elvis theatrical movies that did not have their own soundtrack records. 3. 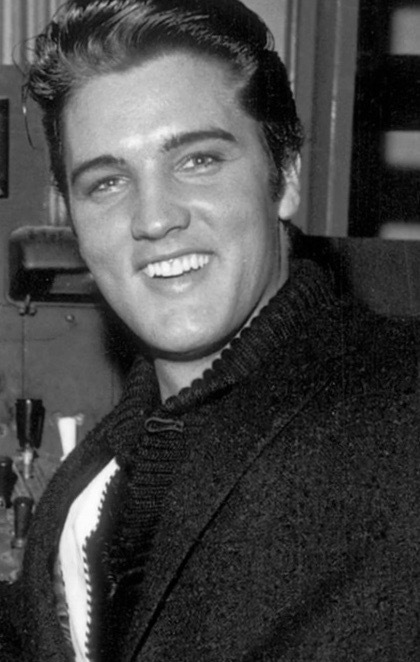 How many total Presley single records were issued by Sun and RCA during Elvis’s lifetime: (a) 83, (b) 94, (c) 100. 5. Name 2 of the 3 Elvis live concert songs that were issued on single records. 6. 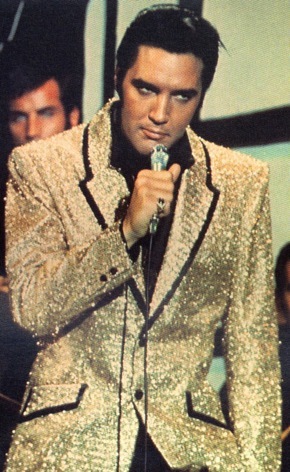 Name the 2 Elvis songs from his 1968 “Comeback Special” that were released as singles. 7. How many title songs from Elvis’s movies appeared on single records? (a) 9, (b) 11, (c) 13. 8. How many gospel single records did Elvis have? (a) 3, (b) 5, (c) 7. 9. How many Elvis extended plays (records with 4-6 songs) did RCA release during his lifetime? (a) 28, ( b) 35, (c) 40. 11. How many Elvis LPs did RCA release during his lifetime? (a) 58, (b) 65, (c) 72. 12. Soundtrack LPs were issued for 18 of Elvis’s movies. Name 10 of them. 13. RCA released 4 Elvis gospel LPs during his lifetime. Name 3 of them. 14. RCA released 5 Elvis live concert albums. Two of the concerts were in Las Vegas. Name the three cities in which the other three live LPs were recorded. 15. American Profile magazine recently reported that the most #1 records from a single LP is 5 off of Michael Jackson’s 1987 album Bad. Which of Elvis’s LPs produced the most #1 singles for him? 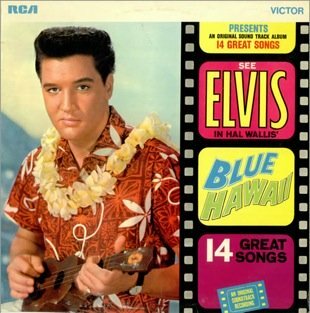 (a) Loving You, (b) Blue Hawaii, (c) From Elvis in Memphis. 1. (c) 200. Sun issued 5 Elvis records and RCA 195. It was a nice round number to end with, but Elvis might have had twice that many had he lived a normal lifespan. 2. There were no soundtrack EPs or LPs issued for the following films: Wild in the Country; Stay Away, Joe; Live a Little, Love a Little; Charro! ; The Trouble with Girls; and Change of Habit. Most of the songs from these movies appeared piecemeal on assorted singles and LPs. 3. (c) 100. Another round number! Sun issued 5 Elvis singles and RCA 95. When the single “Way Down”/“Pledging My Love” was released in June 1977, it was Elvis’s 100th single, and when the “Moody Blue” LP came out the following month, it was his 200th total record. 5. 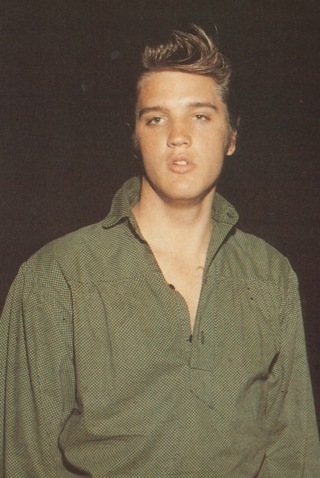 Elvis’s live singles were “The Wonder of You” (1970), “An American Trilogy” (1972), and “Steamroller Blues” (1973). After his death, other live singles, including “My Way” and “Softly As I Leave You,” were released. 6. “If I Can Dream,” from Elvis’s 1968 TV special, was released as a single in November that year. “Memories,” also from the special, came out as a single in February 1969. 8. (c) 7. After “Crying in the Chapel” became a big hit in 1965, RCA issued Elvis gospel singles around Easter over the next seven years. They were “Joshua Fit the Battle”/“Known Only to Him” (1966), “Milky White Way”/“Swing Down Sweet Chariot” (1966), “You’ll Never Walk Alone”/ “We Call on Him” (1968), “His Hand in Mine”/“How Great Thou Art” (1969), “Life”/“Only Believe” (1971), and “He Touched Me”/“The Bosom of Abraham” (1972). 9. (a) 28. 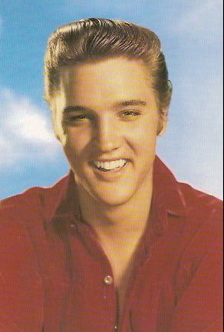 Most of Elvis’s EPs were issued in the fifties, when RCA’s strategy was to issue Presley recordings in both EP and LP formats. For example, RCA released Elvis’s first LP, “Elvis Presley,” on March 23, 1956. That same day RCA also issued two Elvis EPs with the same tracks as the LP. 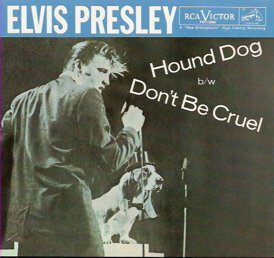 By March 1960, when Elvis came out of the army, RCA had abandoned their previous EP policy. Between 1961 and 1967, only 6 Elvis EPs were released, and all of them were movie soundtrack recordings. 10. 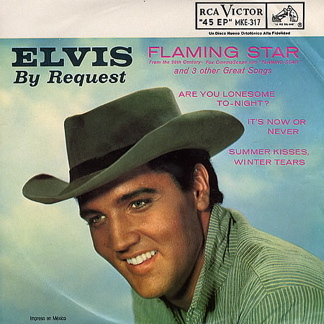 (b) “Flaming Star.” In 1961 RCA test marketed singles and EPs that played at 33 rpm, the same speed as LPs. When the record-buying public rejected the experiment, RCA dropped the idea. When Elvis’s next EP, “Follow that Dream,” appeared the next year, it had returned to the old EP spinning speed of 45 rpm. 11. (c) 72. Between 1956 and 1977, RCA released 72 Elvis albums. Included were 18 movie soundtrack LPs, 4 gospel LPs, 3 Christmas LPs, 6 live albums, 6 gold record compilations, and 21 theme LPs. Some of Elvis’s best vocal work could be heard on his theme albums in the sixties, such as “Elvis Is Back” (1960), “Something for Everybody” (1961), “Pot Luck” (1962), and “From Elvis in Memphis” (1969). 12. 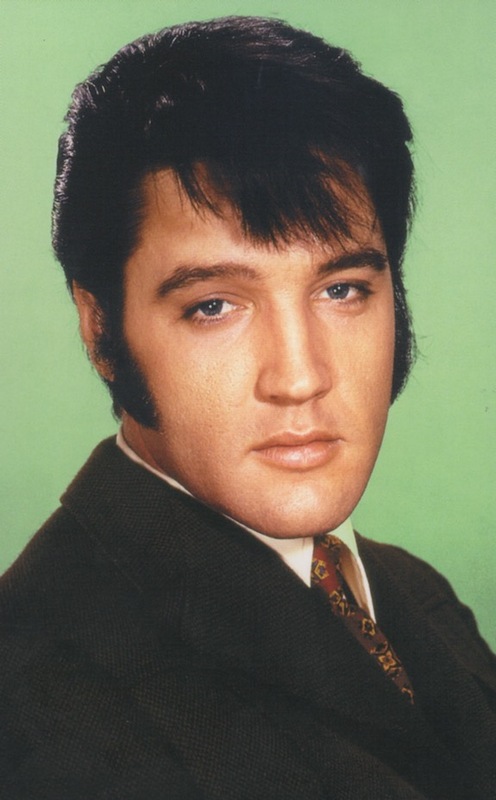 Elvis’s 18 soundtrack LPs were “Loving You” (1957), “King Creole” (1958), “G.I. Blues” (1960), “Blue Hawaii” (1961), “Girls! Girls! Girls!” (1962), “It Happened At the World’s Fair” (1963), “Fun in Acapulco” (1963), “Kissin’ Cousins” (1964), “Roustabout” (1964), “Girl Happy” (1965), “Harum Scarum” (1965), “Frankie and Johnny” (1966), “Paradise, Hawaiian Style” (1966), “Spinout” (1966), “Double Trouble” (1967), “Clambake” (1967), “Speedway” (1968), and “That’s the Way It Is” (1970). 13. Elvis’s 4 gospel LPs were “His Hand in Mine” (1960), “How Great Thou Art” (1967), “You’ll Never Walk Alone” (1971), and “He Touched Me” (1972). 14. 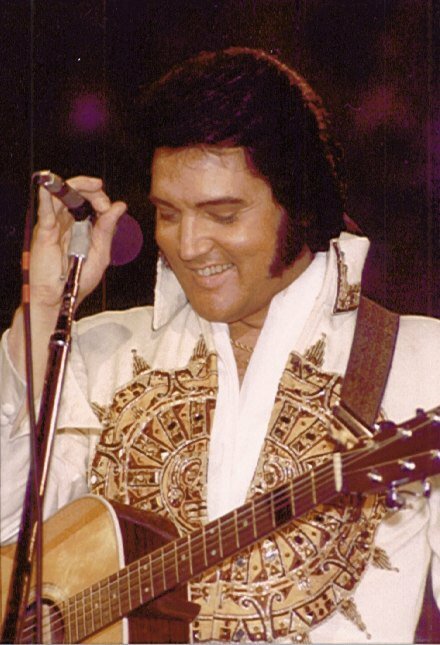 Besides Las Vegas, RCA released Elvis live albums recorded in New York City (“Elvis as Recorded Live at Madison Square Garden”), Honolulu (“Aloha From Hawaii”), and Memphis (“Elvis as Recorded Live on Stage in Memphis”). 15. (a) “Loving You.” Elvis’s 1957 #1 recording of “Teddy Bear” came from the “Loving You” soundtrack LP. Surprisingly, that was the only one of Elvis’s 14 chart-topping singles that originated on an LP. Two others, “Love Me Tender” and “Jailhouse Rock” came from EP soundtracks, but all the rest of Elvis’s #1s, from “Heartbreak Hotel” in 1956 to “Suspicious Minds” in 1969, were stand-alone singles. They all appeared later on LPs, but only “Teddy Bear” started as an LP track. "Counting single records, extended plays (EPs), and long-playing albums (LPs), how many total Elvis records were released during his lifetime?"